Malcolm Roach was our 2014 1A Defensive Player of the Year. The Madison Prep player had an absolutely outstanding year terrorizing every offense he went up against. Malcolm finished the season with 134 tackles, 27 tackles for loss, 20 sacks, 7 forced fumbles, 4 fumble recoveries and a total of 3 defensive touchdowns. Coach Roland Eveland is going into his 3rd year as head coach for the Carencro Bears. He coached the bears to an impressive 8-3 record in 2014. In today's coaching spotlight, Coach Eveland talks about his past, the 2014 season, and Rajun Cajun Football. New! Louisiana Defensive Players of the Year! This Weeks Show! February 23, 2015	Comments Off on New! Louisiana Defensive Players of the Year! This Weeks Show! Let me just say, these kids had an absolutely incredible year. We chose each kid based not only on statistics, but also leadership, intangibles, and character. It was difficult choosing the winners considering all the great football players we have in this state. Still, we are very happy with our selections. Look at this post to see who won and when you can watch the show. The Huntington Raiders had a building season in 2014. Head Coach Marvin Harris was the 7th coach since 2006 so the team has not had too much consistency. The Team was able to progress under Coach Harris and get better as the season went along. The program always seems to have 2 or 3 really good athletes. OB/DB Aaron Roberson is one of the best athletes in the state. He will playing D1 Football at Louisiana Tech this upcoming year. The'Anthony Taylor is another impressive athlete with college ability. Check them out in today's Recruit Video! We have a great show lined up this week. Our in-studio guests are Nicholls State New Head Coach Tim Rebowe and Former N. Y. Jet and McNeese State player Rusty Guilbeau. The last several years Coach Rebowe has been an essential part of the Louisiana-Lafayette's success as an assistant. Guilbeau was an All-American at McNeese State in the early 1980's. It should be a great show so make sure to Tune into Louisiana Football Magazine and TV! Hey everyone, check out our Coach and Team Update on Sci Academy. I know not many people know about this program, but it is definitely one you want to look out for in the future. Head Coach Coach Cornelius Dukes is doing a great job and they have some talented players. Meet them in today's Team Update! The Rummel Raiders have been on quite a run the last three years. Two State Championships and a run to the semi-finals is extremely impressive. We were able to step in and talk to Coach Jay Roth this past Monday about his team and some of the graduating seniors. Check it out in today's Team Update! New! 13th Show of the Season! Listings and Lineup here! December 9, 2014	Comments Off on New! 13th Show of the Season! Listings and Lineup here! We have a great show lined up this week! RB Johnny Hector (NY Jets, Texas A&M) and QB Kerry Joseph (McNeese, Saskatchewan Roughriders) will be our in-studio guests this week. 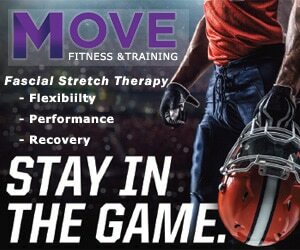 Peak Performance Physical Therapists Ben and Steve Wilson are stopping by to talk about concussions.We will also have a recorded interview with LB Dustin Mitchell from West Monroe. Make sure to tune in to this week's show! Madison High is currently rebuilding its program and doing a very good job. A sleeper recruit, QB Jarvis Williams, is an impressive athlete who can play several different position. LB Malik Carr is an impressive defender who really knows how to hit. They have several other talented players as well. Meet them in today's Recruit Videos! November 25, 2014	Comments Off on Week 11 Offensive and Defensive Players of the Week! Week 11 games were played November 21st-22nd. This past weekend's Players of the Week (week 12) will be announced on our show Tuesday 12/2 (Due to Thanksgiving, we have no new show this week, but a replay will be on at usual times. At the bottom of this post, you can see the listings for when and where the show comes on every week. We will also put them on our site a week from today.